PAPUA New Guinea has asked third world countries to assist in taking refugees from Manus Island who have refused to be resettled in the country. Foreign Affairs and Immigration Minister Rimbink Pato made the call in New York on Monday as he co-chaired the United Nations General Assembly high-level meeting to seek solutions to the escalating global humanitarian crisis concerning large movement of refugees and migrants. He told the conference at PNG currently hosts a total of 1007 refugees and other migrants from around the world at the regional processing facility on Manus Island. Of these, 671 are prima facie refugees, 204 asylum seekers and 132 migrants. 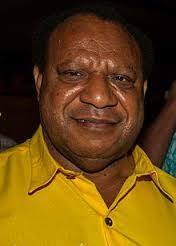 Mr Pato said that PNG had made every effort to have the refugees settled in PNG, even waving the statutory fee of K10,000 for a certain group of asylum seekers to enable them citizenship by naturalisation since this was unaffordable for the asylum seekers, but to no avail. He also shared the challenges such as resources constraints that PNG faces in dealing with refugees and migrants, particularly those facilitated at the Manus regional processing centre. Mr Pato was among world leaders who participated at the meeting and unanimously adopted the New York Declaration which provides a non-binding platform that sets out a range of commitments such as protecting human rights and global co-operation to deal with mass movement of refugees and migrants worldwide. Mr Pato underscored PNG’s commitment to be an integral part of the global solution to the plight of mass migration of refugees and migrants. He also pledged PNG’s support for the key commitments outlined in the New York Declaration adopted at the meeting by the world leaders. “The Manus Island processing centre is also a demonstration of the PNG Government’s humanitarian gesture, goodwill and recognition of the country’s international human rights obligations. “It also demonstrates the bilateral and regional cooperation with Australia and other partners since 2012, to address not only refugees and migrants,” he said.